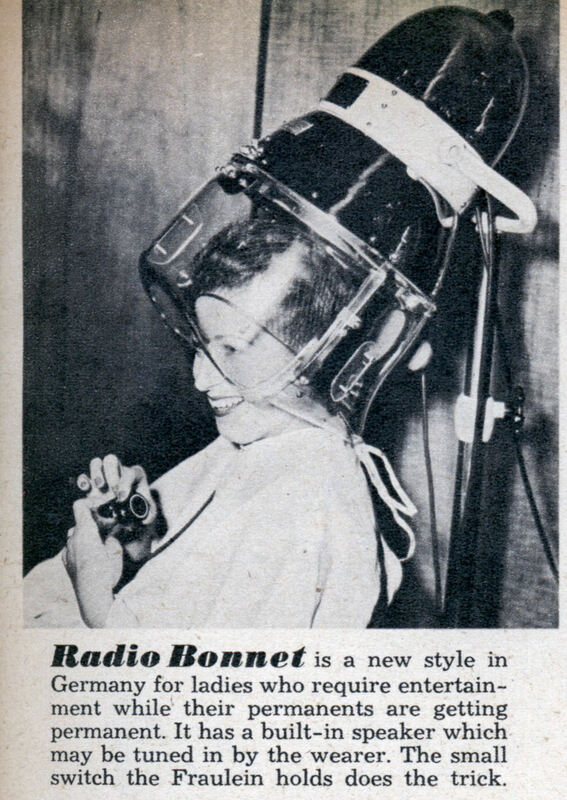 Radio Bonnet is a new style in Germany for ladies who require entertainment while their permanents are getting permanent. 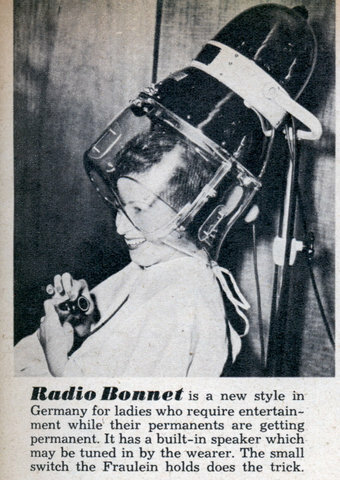 It has a built-in speaker which may be tuned in by the wearer. 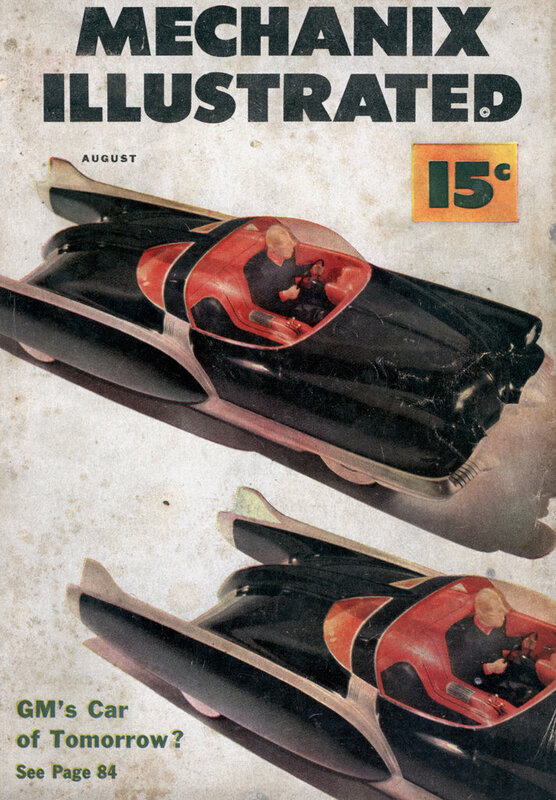 The small switch the Fraulein holds does the trick.